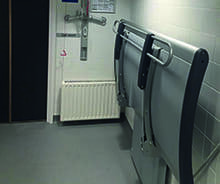 The Space to Change concept has been developed to ensure that the personal hygiene needs of children and adults who need changing and lifting facilities for their personal care are met when away from home, as much as possible. 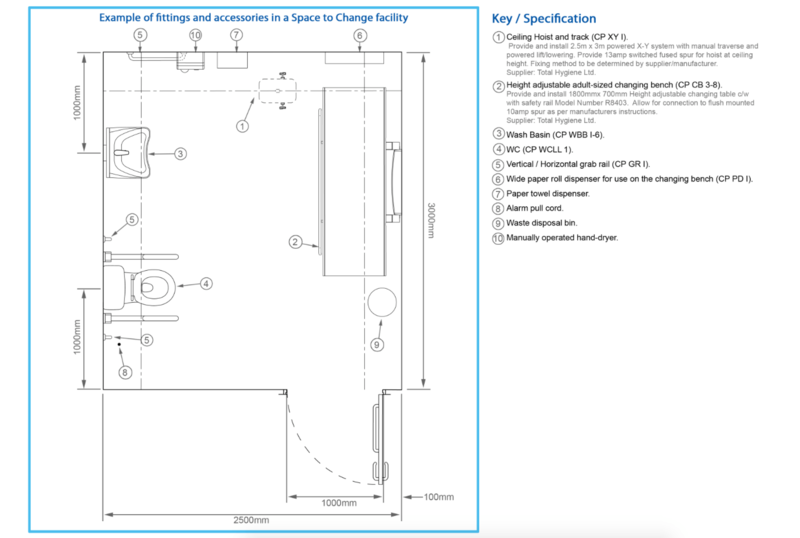 Space to Change provides alternative guidance where space is restricted, more likely to be the case in small buildings and refurbishments. 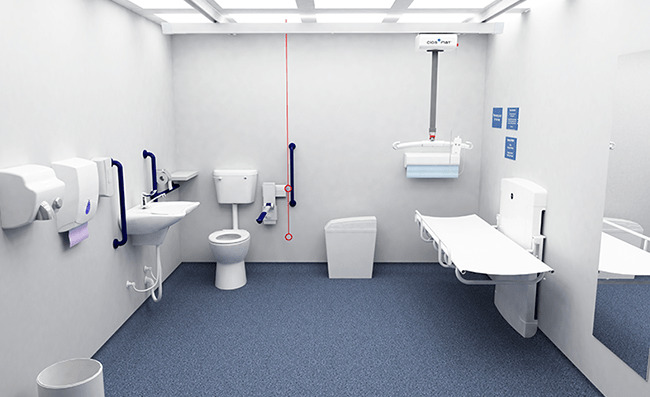 It encompasses a 7.5m2+ (3m x 2.5m min) wheelchair-accessible toilet that further includes an adult-sized changing bench and a hoist. This one small gesture can make a big impact with the entire special needs community. 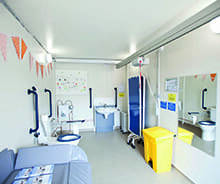 Gives families the reassurance that facilities are available when needed to enable them to have a fun family day out without worrying about changing facilities. It is an ideal solution for cafes, restaurants, supermarkets, sports facilities and other smaller outlets visited by the public; locations where space and/or cost is an issue. 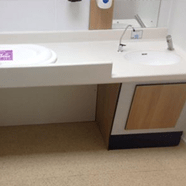 Most suitable for existing building as a refurbishment to an existing parent/baby room or disabled toilet where there is space, ideally 7.5 sqm. Includes as standard conventional wheelchair - wheelchair accessible equipment PLUS a hoist and height adjustable adult sized changing bench. 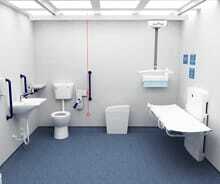 Where have you had to change your child due to poor or no changing facilities? Its time for change! 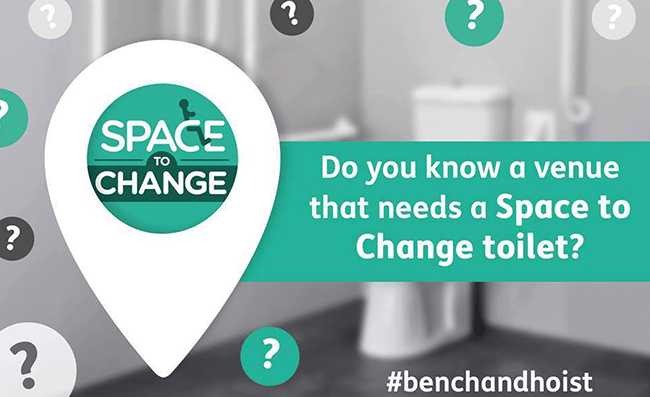 Help us to make a difference with Space to Change Toilets. 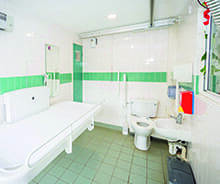 Do you reguraly visit a location which could provide Space to Change facilities for families? Get in touch! Even in tight spaces there is room to provide a bench and hoist. View and download literature for the Space to Change, including campaign information, product brochures, technical information and more. A leaflet detailing the goals and objectives of the Changing Places and Space to Change campaigns. A leaflet for the Changing Places in football grounds. A typical Space to Change layout detailing features and specifications. 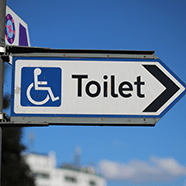 Space to Change white paper on considerations in the provision of wheelchair accessible toilets. 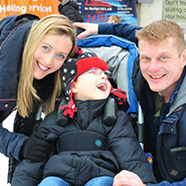 If there's something you think should change, that would make things easier for that special needs child in your life, get in touch.